The Limes Residential Home is a 34 bedded Residential Home situated in the heart of Mickleover, Derby. The Limes was established in 1982 and has remained as a private, family owned business ever since. In the history of The Limes, there has only been two Registered Managers, the current Julie Woodhouse, has run The Limes since 2002, making it her 15th year this year. The Limes in an elegant Grade 2 listed building, set in an acre of formal landscaped gardens offering luxury care for the elderly in a large Georgian country house. There is a large Edwardian conservatory which many residents use for private chats with family and friends. French doors in the main lounge area open onto a beautiful rose garden which offers seating to enjoy the stunning surroundings, weather permitting. The Limes is tastefully decorated throughout, remaining in tradition of the once private family home; original photos of the house can be found in the main reception area. Residents are welcome to bring their own possessions; some of the larger bedrooms are large enough to hold favourite pieces of furniture and photographs can be put up on the walls. The home can be viewed at any time, appointments are not required. We also do not have visiting times, relatives and friends are all welcome any time of the day or night. 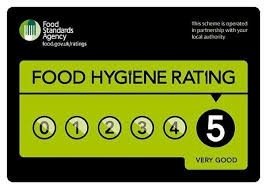 We have been awarded with a Five Star Food Hygiene Rating by the Food Standards Agency during a routine Environmental Health Inspection February 2017. All catering and refreshment services are available all day which is freshly cooked and prepared daily onsite by qualified cooks. We have many members of staff that are Dignity Champions which includes Julie Woodhouse and we actively take part in the annual Dignity Action Day; we have also been awarded the Dignity Award by Derby City Council. At The Limes we are proud to pledge support to the Armed Forces; we received the Bronze Award in 2015 for the Defence Employer Recognition Scheme and in July 2016 we signed the Armed Forces Covenant, to commit to honour the Armed Forces Covenant and support the Armed Forces Community. We recognise the value Serving Personnel, both Regular and Reservists, Veterans and military families contribute to our business and our country.